In the last issue, Mark Harman insightfully illustrated in his article “The long and Short of it” that the incredibly popularly belly putter did not sink more putts than the conventional length putter when yielded by a PGA pro. While it looks like most pros are turning to the belly putter, Mark statistically proved that Keegan Bradley did not fare any better than Steve Stricker from 10 feet. While putter length may not matter at the professional level, I do believe the belly putter will help any amateur sink more putts under pressure. The reason is simple. Our core big muscles (such as our trunk and abdominal areas) are less susceptible to anxiety than our small muscles. The core big muscles are primarily used with the belly putter whereas the conventional putter uses our fingers and hands. Using your core big muscles when putting will help you sink more putts under pressure. Why then would this not be represented in statistics with the PGA tour? The answer is simple. The PGA tour has the best putters in the world who can putt amazingly well under pressure. Pros who cannot sink key putts under pressure, have weaned themselves off the tour or, in most cases, never made it to the big show. However, and interestingly, in some cases, we have seen some PGA pros go to the belly putter because it allows them to handle the pressure better. The best instance which comes to mind is Freddie Couples who has been a terror on the greens since he switched. His long game never left him, only his ability to make the key putts. We have also seen the same phenomenon with Billy Mayfair and Vijay Singh-to name a few. Perhaps the belly putter is best for the graying population. To determine whether or not your student (regardless of age) should go to the belly putter, give them the pressure cooker test. First, have your students make 20 putts from four feet in a row using the conventional style putter. If they miss any, your students must start over. Next, do the same practice drill with a belly putter. See which technique can handle this pressure packed drill the best. I would predict in most cases, it will be the latter drill using the belly putter. 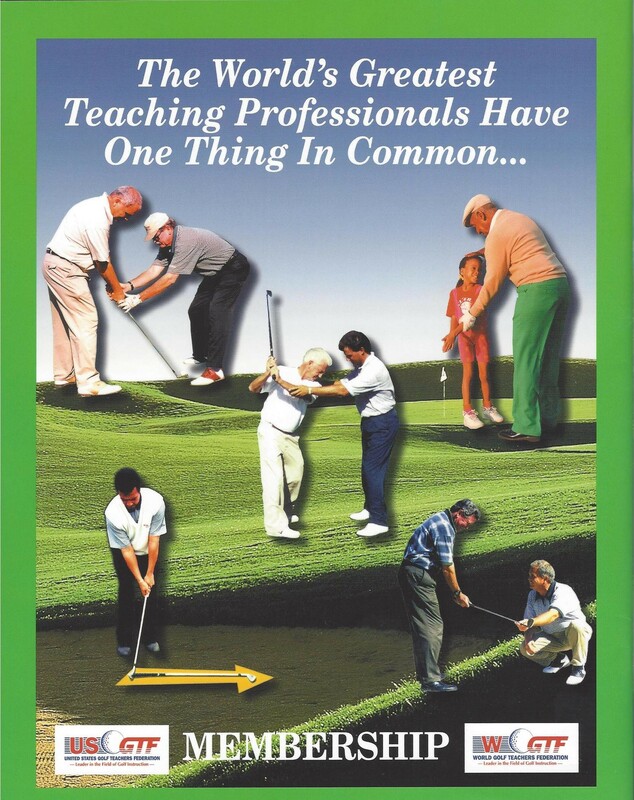 However, if your students want to only use the conventional style putter, it is still a good teaching strategy for them to practice using the belly putter. This technique will show them how to use their core muscles when putting, which I believe is essential to handling pressure. As you and I both know, your students will be very happy with your teaching if they shoot about the same scores in practice as they do in competition (or when playing with their friends for a nassau). And there is a greater chance of this happening when they use their core muscles when putting. Previous The Value of a Knock-down! Next Should the PGA Merchandise Show Open its Door to more People?